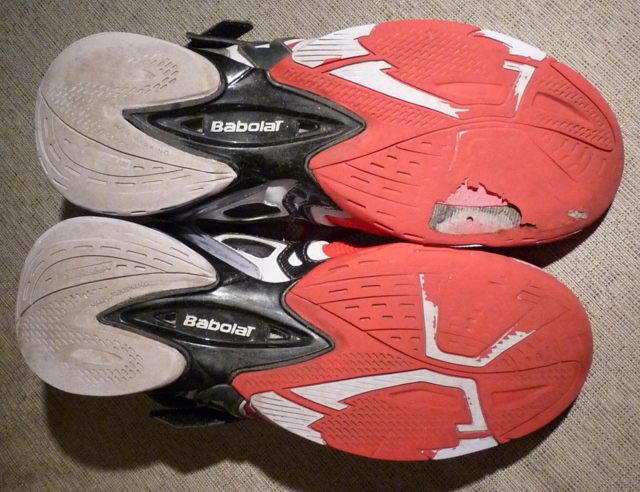 This entry was posted in Uncategorized and tagged Babolat, Propulse3, red shoes, tennis shoes, wear guarantee. Bookmark the permalink. Lucky for Jim, Santa came a little early with a new pair of Babolats so he didn’t have to play tennis in his Birkies. Lucky for Jim and Deb, Babolat accepted the warranty claim (and our $9.95 shipping and handling fee) and shipped Jim a replacement pair of the identical size and model shoe. It was on our doorstep the day we returned to Mesa from our Christmas holiday in Vancouver BC. WooHoo!